Located in Walsall Wood, near Aldridge & Brownhills, Staffordshire. The Palace Cinema was opened around 1912. 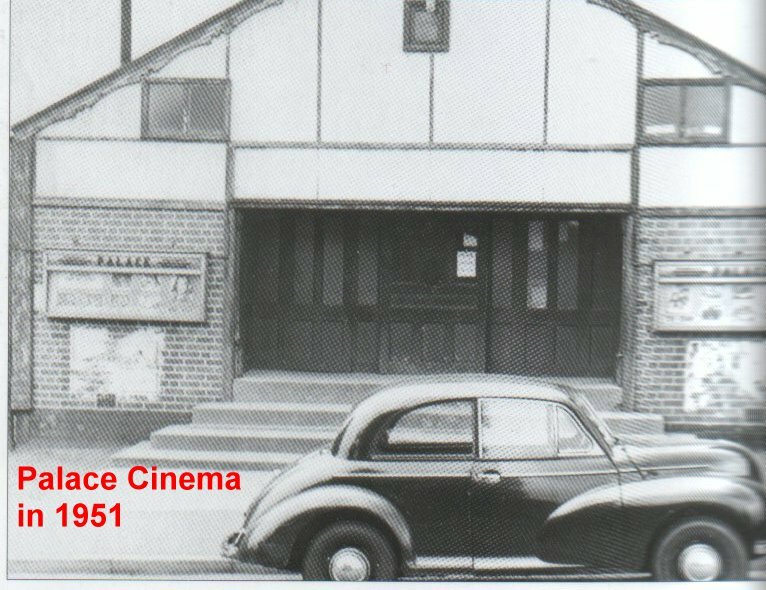 It was a corrugated iron building, with all seating (including long wood benches in the early days) all on a single level. After World War I it was taken over by the Jervis Brothers. It went through several other operators over the years. In around 1950, it was closed for 6 months to allow for a modernization, which included a new brick facade. It was closed in the mid-1950’s, possibly never having CinemaScope installed. The building stood empty and unused for many years, and was eventually demolished and a block of flats named Lee Court was built on the site. Thanks CSWalczak.. That has confirmed a discussion this week I had with my elder cousin. (Spooky) It went through 3 Phases.. 1st Totally Corrogated same plan and look as Palace brownhills. 2nd Phase Tarted up Brick Frontage 3rd Phase “The Avion Alridge” A Real modern Frontage was put on. One side wall was also done in Brick. I looked at this in the 60’s as a possible re-opening. (When I was mad about taking over cinemas) But the roof and the remaining steel wall was rusted away.. Directly opposite Cinema, is the Local cemetry, which when I was little was closer.. and complete with lich Gate. Apart from coming out of the Cinema Far to quick and ending up in there. This added to the post viewing of any Dracula Film… Hmm when misty.